Only 25 – 30 years ago there was a large group of people in Bulgaria who earned their living by walking bears in the towns and villages and making them do tricks. We started the story this way because we should not forget the past (no matter how shameful it is), so we won’t let it repeat again. Because there is no greater torture that a person can do to an animal, than to keep the animal chained, causing him pain, making him do tricks. Fortunately, these times have passed a long time ago, and nowadays such animal exploitation is unthinkable, and whoever wants to see brown bears more closely, can find them free and undisturbed on the territory of National park Belitsa. The park for re-adaptation of the dancing bears in Belitsa is located in the Adrianov chark area in Rila Mountain, and today it is only a place where the dancing bears can live freely, as well a very popular tourism destination for both day trips and relaxation for two. It all began in the late 90s of the last century, when the foundation „Four Paws”, together with the foundation „Bridget Bardot” and a number of international experts studying the behavior of the brown bears, decided to find a way to take the dancing bears from their illegal owners and to create good living conditions for them in their natural habitat. At the end of the last century, however, in Bulgaria there was no mechanism to allow animals to be taken away from the mechkadari, but after years of struggle, that actually happened – the animal protection foundations found a way to deal with the problem. Only a suitable place had to be found for the tortured animals to live freely and undisturbed. The search for a peaceful place ended when on the territory of the municipality of Belitsa was found the perfect place for the location of the park. And the location wasn’t chosen randomly. The region is quite big and is ideal for the bears to have alone time, but also it is located at 1200 – 1345 m above sea level, which provides the perfect conditions for life of the brown bear. In the beginning, the area of the park was significantly smaller, and the sectors in which the dancing bears were allocated were only three. 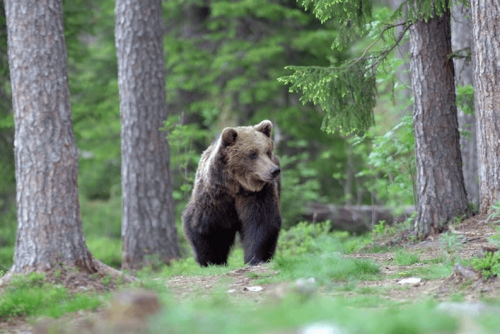 A few years later, after the animal protection foundations managed to take away all dancing bears in Bulgaria, the area of Belitsa park was increased to 12 hectares, and the sectors were increased to seven. The first inhabitants of the park were the bears Stephen, Kalinka and Mariana, who were the first released dancing bears in Bulgaria. In the following years, in park Belasitsa arrived all remaning 26 registered dancing bears in the country, and in 2010 the park welcomed a few bears from Serbia and one little bear rescued from a private hotel. Today, all bears have adapted and live free in their natural environment… and yes, they are adored by the visitors, which every ear become more and more. Since its foundation until today, park Belitsa has become one of the favorite spots for relax for two, or for a weekend walk. As we have mentioned, in the organization of the park were involved world famous experts, studying the behavior of brown bears from around the world, who very precisely prepared the allocation and shaping of the free zone for the dancing bears. 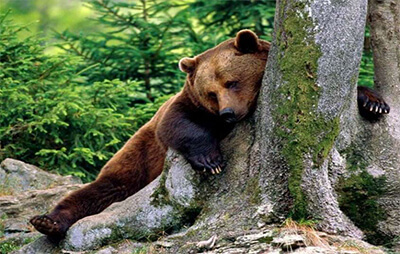 The experts chose not only the best altitude to create the park at, but also a place having dense, old-growth forests, hills and many green meadows on which the bears can relax and enjoy the sun. The park itself is divided into seven sectors, in which the bears are allocated according to their health condition and character, and in each sector there are different in form ponds for the bears to swim in, as well artificial kennels for sleep, where the animals can have some alone time and gain energy. All this gives the bears peace, privacy and, above all, a life that is very close to the natural wild life. Since the bears have been abused almost all their life, many of them have lost their natural instinct to find food, so in the park they receive food three times a day, as the menu includes varied and suitable for bears meals. The employees hide the foods of the bears in different locations across the sectors in order to help the abused animals to regain their natural instincts finding their own food, as they would if they have spent all their lives in the forests. While they were „owned” by the mechkadari, the tortured animals haven’t made anything natural for their kind – they didn’t practice hibernation. In the park, however, after a certain period of adaptation, the dancing bears are already hibernating, and this is a great achievement and recognition for the efforts made by all those working in the park. The only thing that is strictly controlled is the reproduction of the bears. It is not allowed, because it puts the abused animals at risk on the one hand, and on the other – the bears that would be born in captivity could never live independently. If you are on a holiday for two in Bansko, we recommend that you take time to get familiar with the fluffy animals more closely. If you like our idea, here is how the walk goes. First, it is important to know that the walk in the park takes place every hour and that it can only happen if you are accompanied by a tour guide. During the tour, the tour guide will tell you the stories of each one of the bears that live in the park, and he will show you all seven sectors, where you can see how the bear live in their natural habitat. If you are lucky, you can see all bears, but even if there is one that is more shy, it is her right not to show (she is at home though). The paths that you are going to follow are secured with high enclosures with electric fence, and the tour guides make jokes that it is not very clear if the „electric fence” is there to protect the people from animals or the animals from the people. Passing from sector to sector, you will have the chance to see just a few meters away bears walking, eating, playing or relaxing in their natural habitat. There is always one that is more curious and looks like intentionally is walking near the fence just to attract your attention …and his attempts are successful. Your tour will end in one of the two information centers, where you can learn more interesting things about the life and behavior of the brown bears, and if you like you can watch a short film about the hard life of the dancing bears in Bulgaria. (The film is not recommended for people with weak nerves because there are violent scenes). How to get to Belitsa park? If you are on a holiday for two in hotel Lucky Bansko, you have to take the road for Banya village in the direction of the town of Belitsa. The distance between Bansko and Belitsa is around 22 km, and from Belitsa to the park of the dancing bears is 12 km. when you reach Belitsa, you will see the signs to the park, so there is no way to go in wrong direction. The road to Belitsa is asphalted and quite good, so you won’t need much time to reach your final destination. In front of the park there is a parking, where you can safely leave your car and start your walk. From December to March the park Belasitsa is not working for visitors. Since 2016 the walk in the park is with an entrance fee, which is between 2 and 6 leva. Other interesting destinations near Belasitsa park, which you can visit while you are on a holiday for two in Bansko. 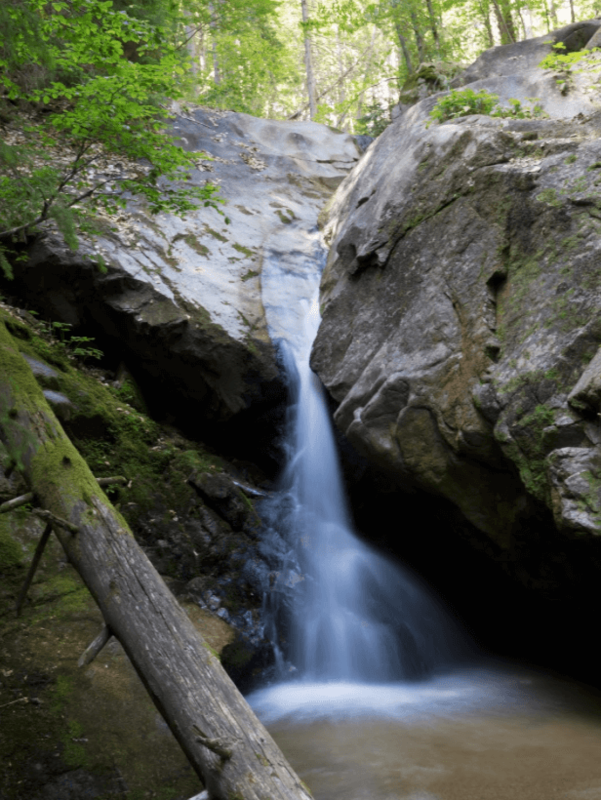 The natural landmark is located only about 2 km away from Belasitsa Park, and a large number of the visitors of the park also include the waterfall in their walk. It is situated along the local Stankova River, as the waters of the waterfall fall from 8 meters height and it is really beautiful sight to see. 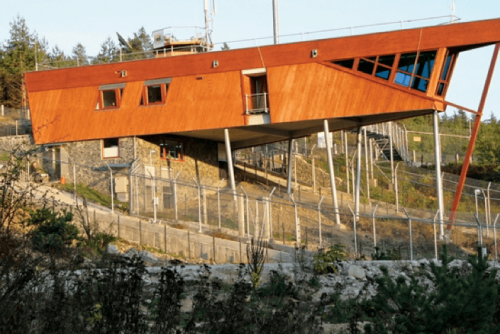 For the lovers of hiking in the mountains, Belasitsa Park is included in 3 eco-trails that pass through it – „the Flying Flowers”, „The Lord of the Mountains” and „the guardian of Life”. The eco routes are of low to medium difficulty and are suitable for the whole family, and on the way there are many places for relaxation and contemplation.